Hitman: Blood Money, to me, is one of the all time greats. Released in 2006, its simple but engrossing formula was an instant hit. One of the things I value highest in video games is the freedom to go about completing my objectives my way, at my own pace. This is what made Blood Money so great; it didn’t just allow the player to experiment, it encouraged it. 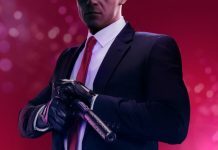 The release of Hitman 2016’s third episode, Marrakesh, sees Danish developer IO Interactive not only stay true to the roots of the Hitman series, but also attempt to tackle the tricky third album after the critical success of Sapienza. 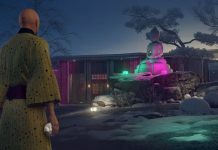 It’s clear from the opening moments of the Marrakesh level, that IO have really tried to push the scale even bigger than in the last two episodes. As Agent 47 you’re dropped into the centre of a political conspiracy that has sparked riots in the streets. You’re given two targets (a Swedish banker and a Moroccan general), a massive level to explore, and all the time and equipment you need to piece together your perfect hits. 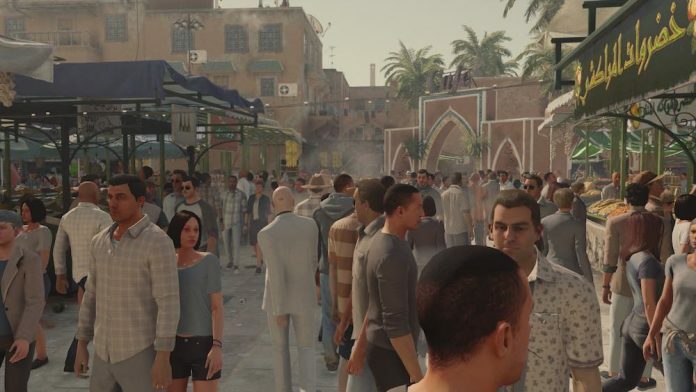 While the area itself feels slightly smaller than the previous Sapienza level, the sheer number of NPCs on screen at any given time is, at first, quite overwhelming. The central market area is bustling and feels alive and the attention to detail in the world is quite outstanding. It all adds to the immersion which is one of episode three’s greatest strengths. Just walking around the market itself, or up and down one of the connecting streets, you’ll hear bits and pieces of interesting conversation which can either be idle NPC chit-chat, or on occasion the game opening up one of its many “opportunities” for you. The opportunity system in Hitman is a new addition, unseen in previous games. It’s there to either explicitly, or gently guide you to fun and creative ways of killing your targets. While the opening Paris mission didn’t really use the opportunities system very well, the second episode, Sapienza, used it near perfectly. Opportunities were scattered around the level, and interesting enough to actually make you want to replay the level, just to see how they all play out. The use of opportunities in Marrakesh falls somewhere in-between the two. While a few of them are brilliant and make for some very creative kills, the rest feel somewhat uninspired. I’m interested in killing the General as one of his most despised Prisoners of War while he has his guard down, but I’m not really interested in dressing up as a janitor and waiting for the banker to walk into the room I’m waiting in. It gets the job done, but it’s not quite the same as dressing up as a plague doctor statue in Sapienza and killing your target while he unsuspectingly sobs over some old home movies of his late mother I’ve set up for him to “stumble into”. However this doesn’t greatly affect the experience; I personally found it much more rewarding to switch the opportunities system in this level completely off and stumble into the opportunities myself then, if I decide to, pursue them further. Unlike the Paris level, where I would highly recommend playing with the opportunities system turned on. The tone of the level itself feels like it’s been ripped straight out of a Bond movie. With the evil military General being funded by a crooked Swedish banker. Each episode so far has been very obviously tonally different, with the first giving you a taste of the elite lifestyle, the second settling in a sleepy Italian town, and now the third, feeling like a spy thriller. 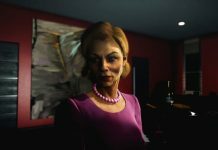 In the past I’ve never been one to care for Hitman‘s story – I’ve always been attracted to the fantasy of being given a hit, not told why or who is employing you and being allowed to either work it out yourself through environmental storytelling, or just to get on with it no questions asked. But with the 2016 instalment I’m finding myself invested in the story, with clear connections forming between the three released missions. I’m excited to see what the next one has in store, and to join the dots, until eventually somewhere down the line I’ll see the big picture. This is one of the reasons why I’m a big fan of the episodic structure which IO have adopted for Hitman 2016. Another reason is that it gives me the chance to really invest myself into the level if I choose to, giving me a month to wait until the next one comes out, and loads of content to get through. It encourages repeating missions to get a better score, and the unlock system wills you to master the level and the systems before the next episode drops. So the sandbox you’re given to mess around in is a good one, not quite at the same level as the previous episode, but definitely still up there. So what about the actual gameplay? Well, expectedly, it’s very similar to the last two episodes. 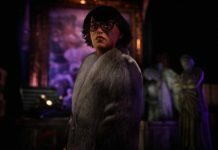 With the trademark Hitman disguise system which allows you to, once incapacitated or killed someone, literally take their clothes and pretend to be that person. It’s sort of silly, but it’s tried and tested and works well. Where this episode differs is in the assassination of the General Reza Zaydan. 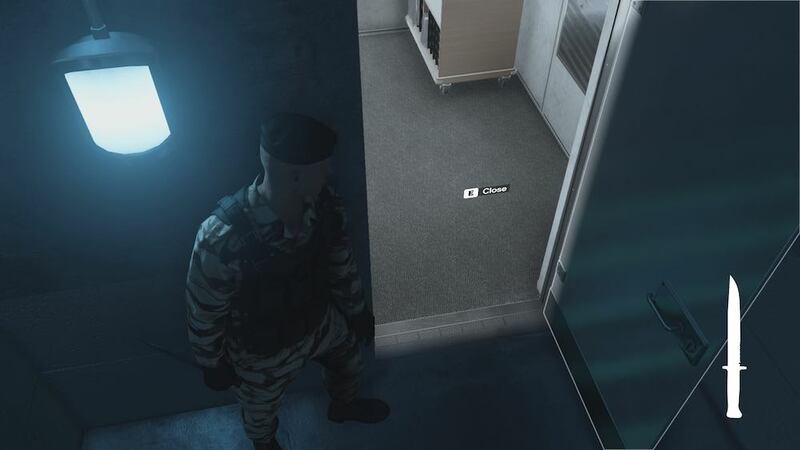 He’s holed up in an old school, and getting to him is much more of a classic stealth experience than any of the other assassinations in the previous levels. The General is surrounded by elite guards who are able to see through your disguise if you get too close, which makes for a more traditional cloak and dagger approach. This is quite refreshing in comparison to the very disguise heavy approach of the last two episodes. The weakest point of the Marrakesh mission definitely comes in the assassination of the Swedish banker, set up in the incredibly boring and generic Swedish embassy. The number of opportunities you have to kill the target in a creative way are low, and the ones which are there aren’t all that interesting. Every play-through I did of the level offered excitement and intrigue while planning the assassination of General Zaydan, in contrast to the mundane repetition of getting a disguise, waltzing into the embassy and removing the banker. Marrakesh itself is wonderful, the attention to detail of the world and the huge crowds really do deserve to be seen, but in some cases the crowd A.I. does fall slightly short. Firing off an un-silenced gun in the centre of a big crowd doesn’t really provoke a believable response. Also, the decision by the developers to give all of the Moroccan citizens bizarre American accents really does mar the experience, and it’s a mistake which I hope they learn from and don’t repeat. 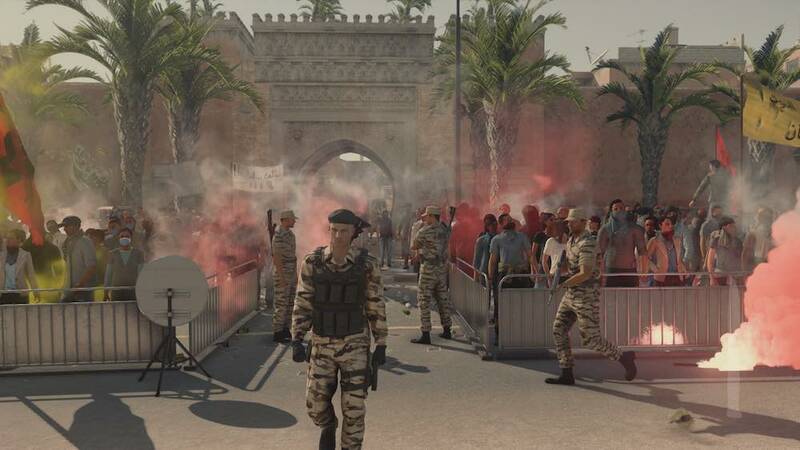 Marrakesh can stand very proud next to Sapienza. While it doesn’t quite reach the same heights, it is a very accomplished mission, built into a magnificent sandbox. The opportunities for player made contracts in this level are vast and I’m genuinely excited to see what they do with the Marrakesh elusive targets. 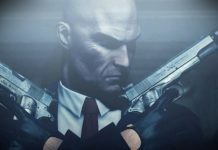 Hitman 2016 is beginning to look more and more like the real deal, taking that time old Blood Money formula and improving on it with each new iteration. It keeps all those crucial elements, such as freedom and experimentation, intact, while streamlining the entire experience into something just as worth of the Hitman name. I really can’t wait to see which corner of the world Hitman is going to take me to next. Hitman is available on PC, Xbox One and PS4. 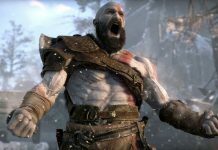 We reviewed Episode 3 on PC.